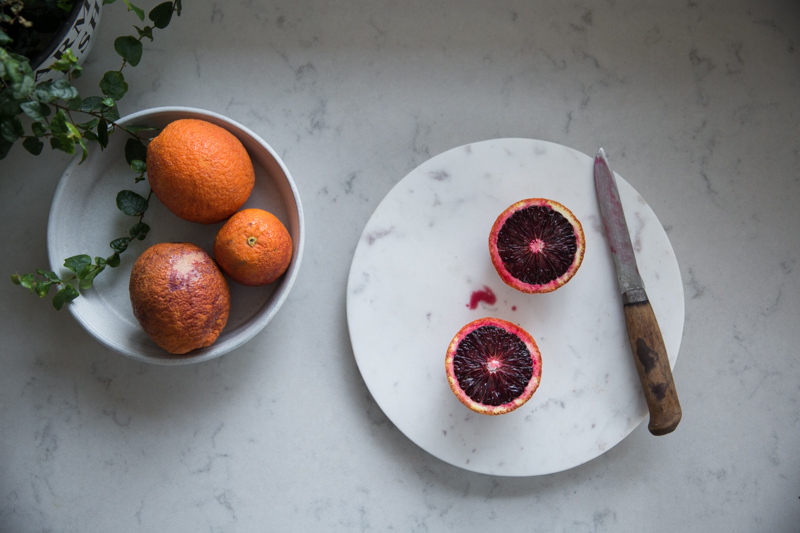 One of the hardest citrus trees to grow, blood oranges usually have a very short season and therefore very prized in the culinary circuit. In the past few years I have seen them in abundance and their supply seems to be growing. 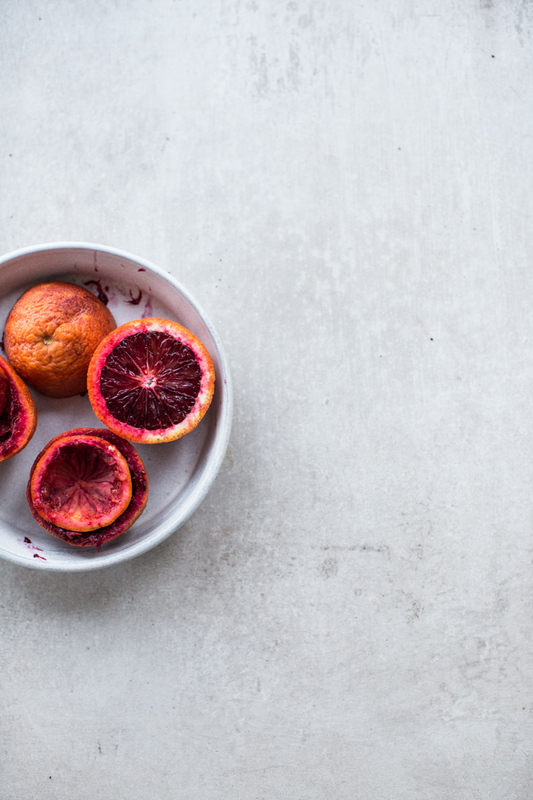 Yay for all those blood orange groves that have mastered their fruiting trees. Every year when the red belly, crimson fleshed fruit makes an appearance at the markets, I buy by the bucket (Sorry Australia, I might be creating that blood orange shortage single handedly). And every year, I make batches of granita. We eat them on their own and then we have the granita. On repeat. 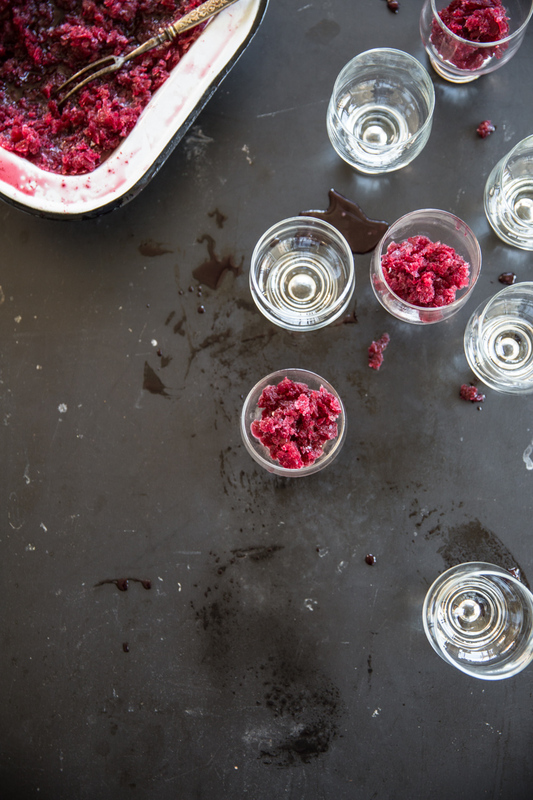 Some years I have gotten adventurous with cocktails and dressings, but you really can’t go past this granita with its secret ingredient – star anise. 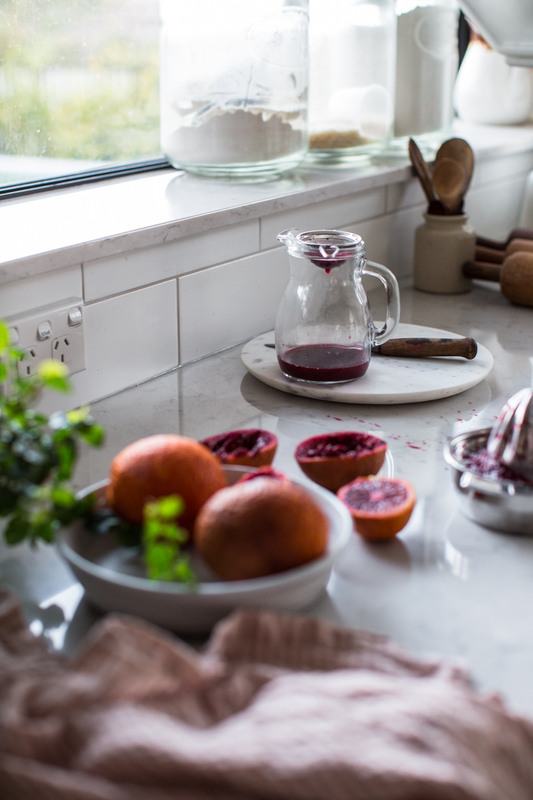 If ever there was a match made in heaven for a citrus fruit bursting with acidity and tang, it was the gorgeous deep sweetness of the star anise. Try it. You won’t be making anything else! 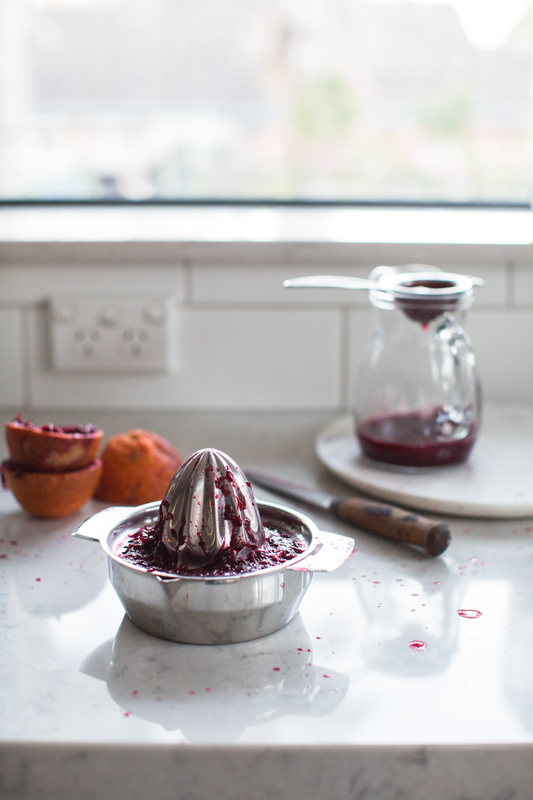 Blood oranges have a very short season and a big batch of granita made in a jiffy can prolong their presence in your life for weeks after they are gone. 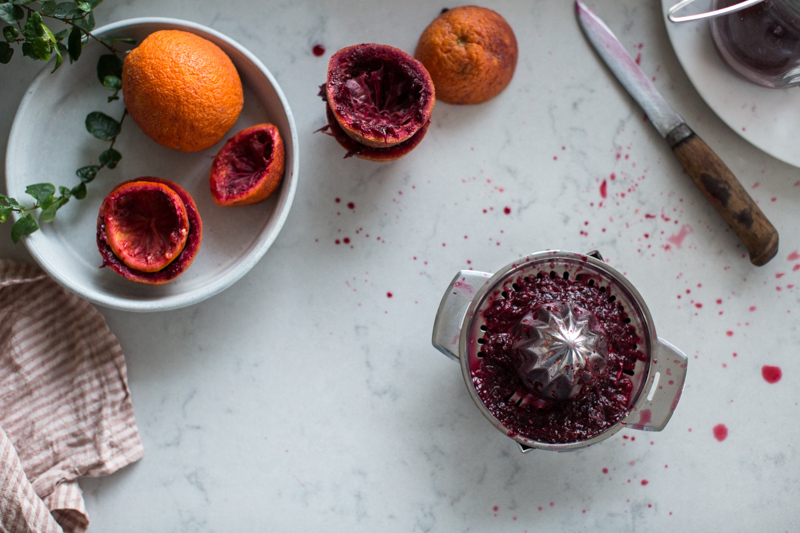 This is a pure granita, concentrated and full of divine flavour from the combination of the slightly bitter and acidic blood oranges to the sweet after taste of star anise. A beautiful after dinner dessert or a pre-dinner palate cleanser. Pour in a shallow metal tin and cover with cling foil. Scrape with fork to serve. Stunning. I can’t even describe this granita properly because words won’t do it justice! Pretty colour and delightful granita! What a gorgeous color! 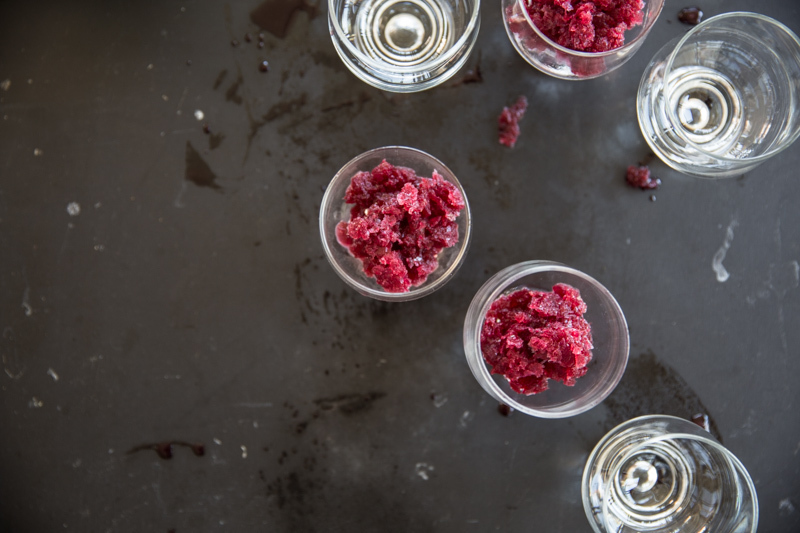 This granita sounds like the best thing ever to eat on a hot day.